"[Urrea's] brilliant prose is saturated with the cadences and insights of Latin-American magical realism and tempered by his exacting reporter's eye and extensive historical investigation. The book is wildly romantic, sweeping in its effect, employing the techniques of Catholic hagiography, Western fairy tale, Indian legend and everyday family folklore against the gritty historical realities of war, poverty, prejudice, lawlessness, torture and genocide. 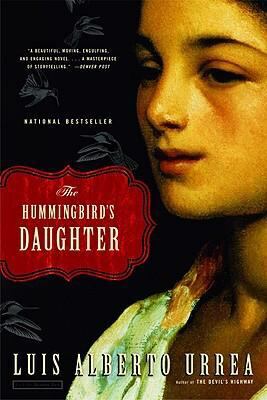 "Urrea, Luis Alberto is the author of 'Hummingbird's Daughter A Novel', published 2006 under ISBN 9780316154529 and ISBN 0316154520.